A new Yale-led study shows that thyroid hormone therapy significantly resolves fibrosis, or scarring, in the lungs of mice, increasing their survival from disease. This provides a novel insight into the development of pulmonary fibrosis and could lead to alternative treatment for this serious condition, according to the researchers. The study is published in Nature Medicine. A type of lung disease, pulmonary fibrosis causes scarring of the lungs, which impairs breathing. One form of this lethal illness, idiopathic pulmonary fibrosis (IPF), is steadily increasing in the United States and leads to death within three to five years of diagnosis in half of patients. 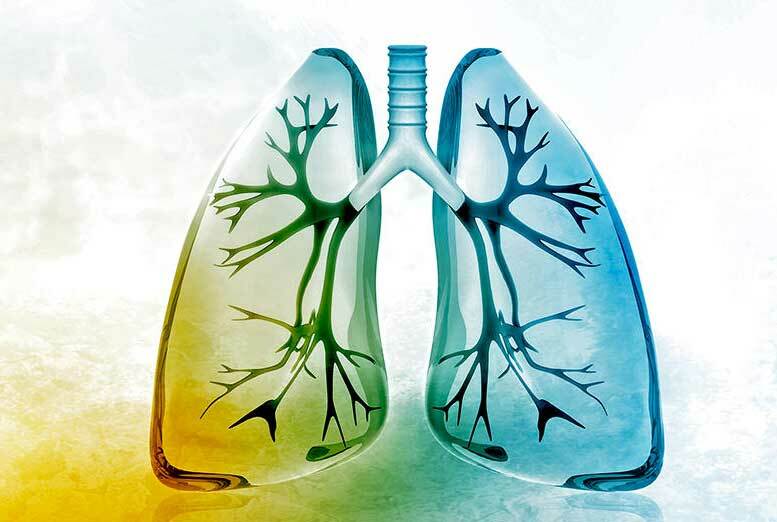 Using profiles of all the genes expressed in the lungs, the Yale-led team of investigators identified a gene that was increased in the lungs of people with IPF; this gene also activates the thyroid hormone. To examine the link between the thyroid hormone and IPF, the research team tested the effect of the hormone in two different mice models. The thyroid hormone therapy, delivered systemically or in an inhaled form, significantly blocked the fibrosis in the IPF mice compared to control animals. The researchers observed the same effect in human epithelial cells, which line the airways, after treatment with the hormone in cell culture. The beneficial effects of thyroid hormone were observed even though fibrosis was established in the mice, said senior author Naftali Kaminski, M.D., professor of medicine and chief of the Section of Pulmonary, Critical Care, and Sleep Medicine at Yale School of Medicine. The findings also revealed an unexpected insight into fibrosis. It has recently been suggested that in fibrosis, mitochondria — small organelles that regulate cell metabolism — do not function well. The Yale-led team discovered that thyroid hormone-normalized mitochondria function in epithelial cells that line the air sacs in the lungs. They believe that this normalization of metabolism protects the epithelial cells from damage and allows resolution of fibrosis. The study has practical implications for future research. “Our data support further study of the potential role of aerosolized thyroid hormone as a therapy for fibrosis,” Kaminski said. But additional studies focusing on determining the hormone dose, delivery, and demonstrating safety and efficacy in humans are required, he noted, adding that it is likely the aerosolized version could avoid potential side effects of therapy. Other study authors are Guoying Yu, Argyris Tzouvelekis, Rong Wang, Jose D. Herazo-Maya, Gabriel H. Ibarra, Anup Srivastava, Joao Pedro Werneck de Castro, Giuseppe DeIuliis, Farida Ahangari, Tony Woolard, Nachelle Aurelien, Rafael Arrojo e Drigo, Ye Gan, Morven Graham, Xinran Liu, Robert J. Homer, Thomas S. Scanlan, Praveen Mannam, Patty J. Lee, Erica L. Herzog, and Antonio C. Bianco. The work was supported in part by the National Institutes of Health, the American Lung Association and the Pulmonary Fibrosis Foundation. Tzouvelekis, Yu, and Kaminski are inventors on a pending patent on use of thyroid hormone as an antifibrotic agent. 2 Comments on "New Research Shows Thyroid Hormone Therapy Heals Lung Fibrosis"
I have been diagnosed with IPF, and would like to be included in a clinical trial, if you are at that point, or if it has been approved by FDA, where can I get the medicine.